This article was adapted from the SONAR Newburyport Update PDF. To download the Newburyport update itself, download from the core SONAR Artist, Professional, or Platinum category. It is not necessary to download anything else. When it comes to workflow, simple is good—so creating a new track should be simple and not involve going to menus or locating multiple drop-down menus. 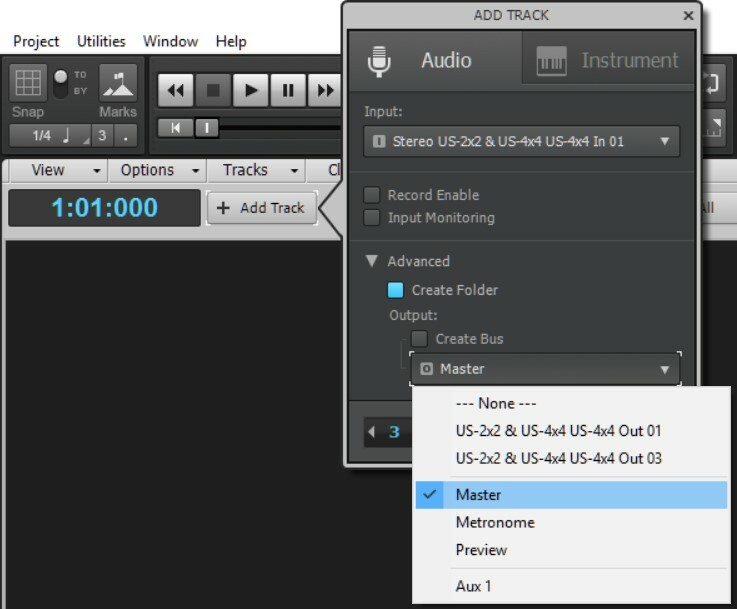 The new Add Track feature streamlines the process of adding both audio and instrument tracks. For an overview and more info, also check out the CakeTV video by Joey Adams. 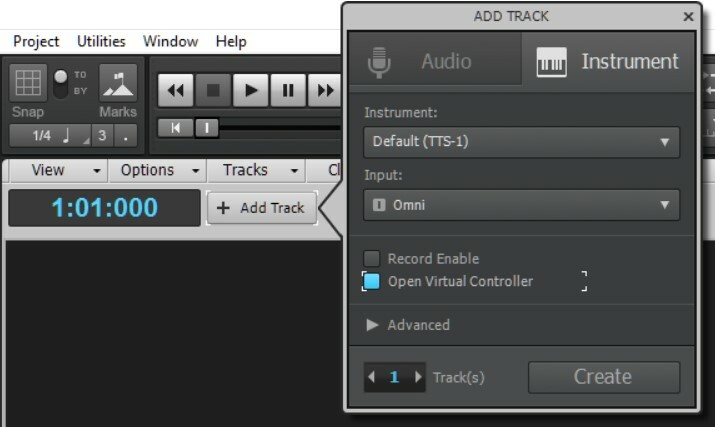 Click on the Add Track button, then choose Audio or Instrument track. The Basic options let you choose the track’s Input, and select Record Enable and Input Monitoring. You can also specify multiple tracks that will share these characteristics. The Advanced options are Create Folder (encloses the tracks you’re creating in a Track Folder), and Output, which chooses the track’s output assignment. If you create multiple tracks, they will share this output assignment. The output options are the same as what’s available for any audio track. If you check Create Bus, the Add Track function creates a new bus, and assigns the outputs of any tracks created by this Add Track operation to the new bus. 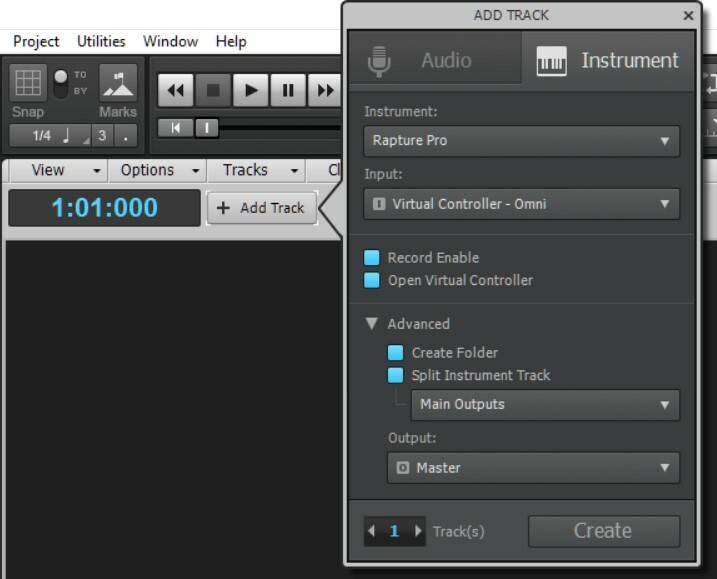 Like Audio tracks, the Advanced options include Create Folder to enclose the created tracks in a Track Folder, and Output, which chooses the track’s output assignment and are the same as for any audio track. However you can also choose to split the Simple Instrument track so you end up with a MIDI track and Audio track (a good reason to check Create Folder), and the audio outputs can be the Main Outputs, All Stereo outputs, or All Mono outputs. The output for Audio or Instrument tracks can be Aux Tracks and Patch Points, which adds to the flexibility. The Add Track settings persist. So for example if you open the Instrument Add Track dialog, choose Advanced mode, and check Open Virtual Controller, the next time you open the dialog it will be in Advanced mode, with Open Virtual Controller checked. 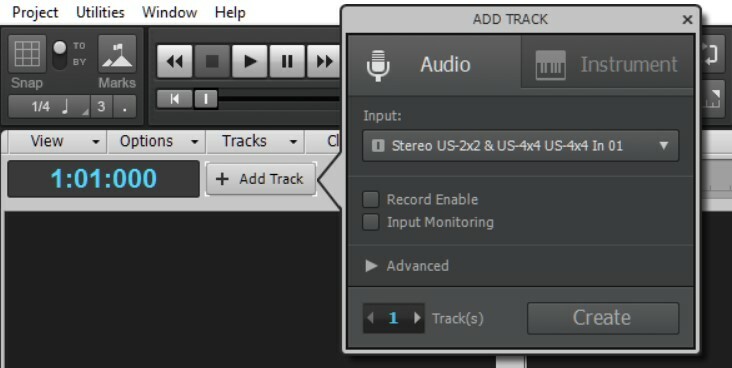 The number of tracks resets to 1 upon closing the Add Track menu. You have a live recording you want to put on your band’s website right after the gig. Feed the file into LANDR, and you’ll be able to offer your fans a higher level of quality within minutes. You’re an engineer or producer, and your client wants rough mixes as the song progresses. Use LANDR to give those rough mixes a sound that’s more like what they’ll hear when the project is done. You do podcasts, and want the sound to be as polished as possible. Only problem is, you’re not going to get it mastered in your hotel room at 2 AM so you can have it online the next morning. But as long as you have an internet connection, LANDR can process it for you. 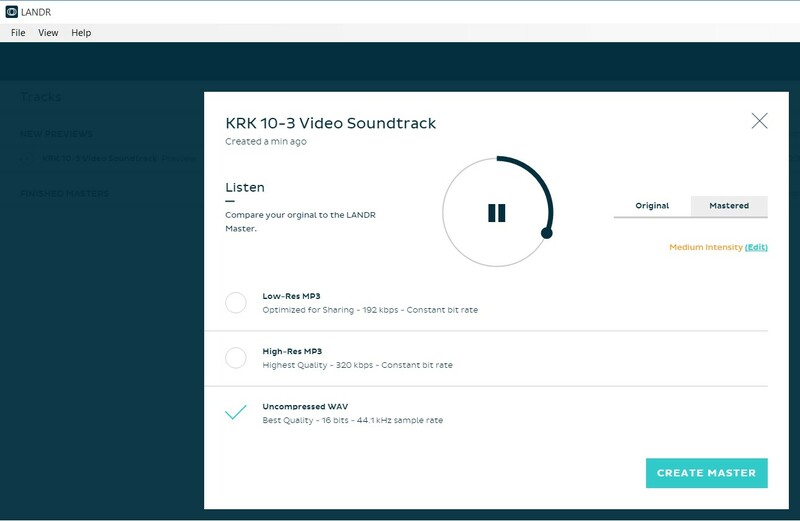 You can fine-tune your mixes by previewing your masters in LANDR. If there’s something you don’t like, you can go back to SONAR, remix it, and use Preview to receive instant feedback. This can be a huge time saver, especially if you’re working with a mastering engineer and want to avoid the back-and-forth of fixing issues in your mix. You can master audio that you normally wouldn’t think of mastering—like drum loops, beats, samples, recordings of school recitals, and the like. You’re just getting into recording, and you’ve heard people say your music would sound a lot better if it was mastered properly. Here’s your chance to find out what they’re talking about, and why mastering is a crucial final step in the recording process. You preview a bunch of your tracks, and there’s one in particular where the sound is exactly what you want. This can help set the standard for your other songs, either by changing their mixes to be more like the one that translated well to a master, or by helping a mastering engineer understand the kind of sound you seek without having to waste time on trial-and-error. You’ve sent off some music to other online mastering services and weren’t all that happy with the results. With LANDR’s free previews, you’ll know exactly what the process will do before you commit to creating your masters. One of the LANDR’s great features is that because you can hear free previews of what your music will sound like, you’ll have no doubt about whether you want to use LANDR for mastering or not. After extensive testing around the Cakewalk offices, the consensus was that the end results LANDR produces are impressive, whether for final mastered tracks or simply for proofing. 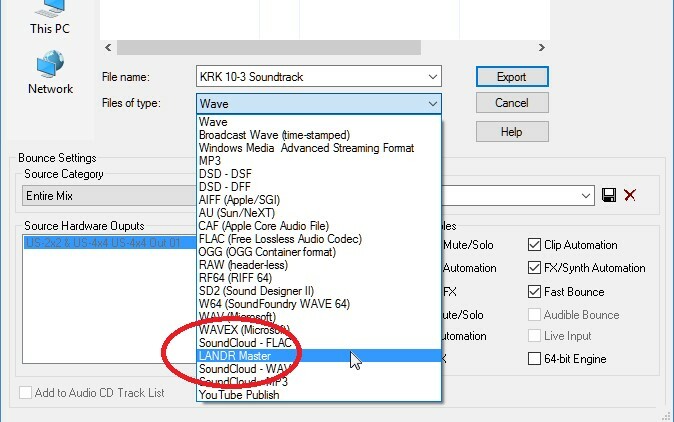 Export the audio you want to master by choosing File > Export > Audio. Then, under “Files of Type,” select LANDR Master. Export to any location where you normally save exported audio files. 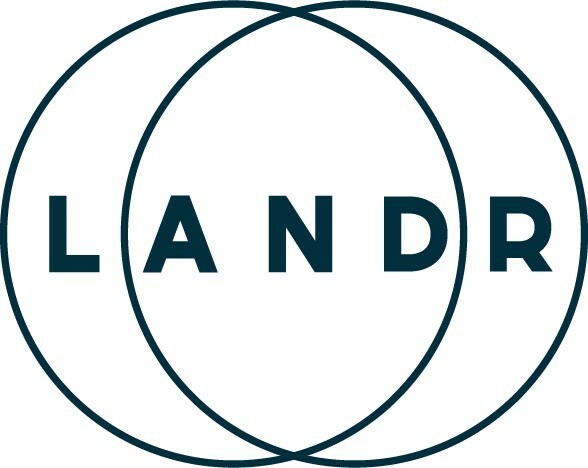 If you don’t have an account, at this point you can sign up for a free LANDR account. If you already have an account and are logged in (otherwise you'll be prompted to log it), LANDR will upload and analyze the file, then create a free preview and open a window for previewing and evaluation (you have a choice of a larger, or more compact, window). Now you can play back and compare the original and mastered version, and evaluate three different “intensities”—Low, Medium, and High. Low is the subtlest, and is probably where you should start, as LANDR will look for and fix obvious problems, like a “tubby” lower midrange or lack of highs. However there is no limitation to how many times you can listen to the various versions prior to making a final decision on which one you want to use. Medium is typical pop mastering, and High makes masters that really jump out. Paradoxically, you might find High best for music beds that need to be well in the background for something like a commercial, because of the sonic consistency. You can compare the original to the mastered version, or just listen to the mastered version. Note that your account offers you an unlimited number of previews, so you can make tweaks to the mix to accommodate changes made by mastering without incurring any charges. If you decide you like what you hear, you can then have LANDR create a master. At this point your options depend on which plan you signed up for; this is all described on LANDR’s web site, but the short form is you can sign up for free and be entitled to two low-res MP3s per month as well as unlimited previews. If you want to take things further, you can pay by the month or by the year, as well as exceed your plan options and pay for individual tracks. For example you might sign up for the least expensive option because all you really need is 192 kbps MP3s, but then decide that one of them is so good you want an uncompressed WAV version of it. Certain musical styles have definite “sonic signatures” (here’s an article that demonstrates how different musical styles exhibit typical curves). A lot of people who start off in mastering do so by comparing the file they’re working on to a superbly-mastered recording, and trying to get as close as possible. Over time, they learn how to adjust various parameters for different types of music to produce quality results. Every mastering engineer, consciously or unconsciously, has a “database” from years of experience that’s applied to projects. Reduced to basics, that’s what LANDR does—except there’s a lot of technology behind it. LANDR assembled a team of sound engineers, signal processing specialists, record label owners, musicians and even an astrophysicist, to define algorithms based on testing with actual humans. Their goal was not just to provide “cookie-cutter” mastering, but create an adaptive engine that “listens” and reacts to music, based on feedback provided by music listeners, engineers, and LANDR clients. This feedback tunes the audio engine further; the more people use LANDR, the more that adds to its “knowledge base” of how music should sound. Interestingly, you’ll even find that sometimes when previewing, LANDR makes no significant changes at all—it doesn’t create changes just for the sake of creating changes. It follows a “first, do no harm” philosophy. Remember, the goal of mixing is to obtain the best possible balance among all the tracks to create a cohesive musical statement—not create the loudest two-track mix on the planet. If that’s what you want, set LANDR to the high intensity setting and let it do the work. Ultimately, LANDR is about simplicity. It doesn’t give you hundreds of parameters to adjust, but three options. The uploading and previewing process is simple, intuitive, and free, and integrating it with SONAR makes the procedure just that much easier. New Track Icons may not be as exciting a feature as Patch Points or cool optimizations, but improved versions were introduced with SONAR 2015, and we keep adding new ones to keep up with new products. 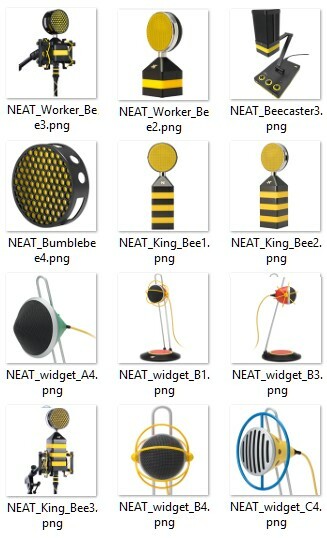 With Neat Microphones starting to get traction and great reviews (check out the review in Sound on Sound, Volume 31, Issue 4 and Recording magazine’s February 2016 issue), SONAR now includes the complete collection of Neat mics, including both the Bee line and Widgets line. The Newburyport fixes and workflow enhancements are available in their own knowledge base article.